Effective living, success, vitality, joy, prosperity and well-being are important to people from all walks of life. At nuDESIGN, we work with individuals and organizations to create a measurable definition of “success” and a program that guarantees the results that you desire. 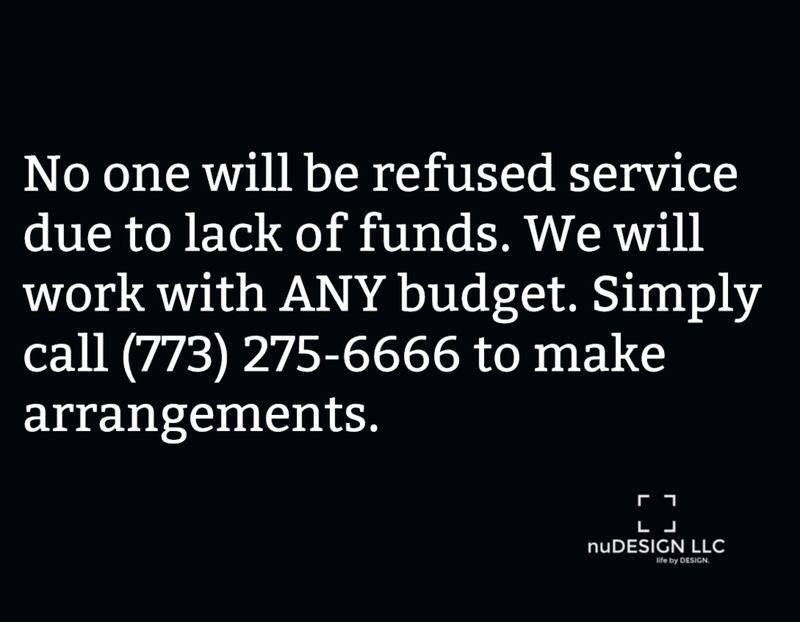 If you are uncertain, we will work with you to create a bottom-line. Perhaps, you already know the answers, but simply do not know how to get there. In either case, we will work with you to design and implement a strategic plan that will guarantee your success. Strategic planning programs for your life or the life of your organization…a nuDESIGN for living. Are you in the midst of a challenge that requires IMMEDIATE attention? Do you need an expert that can assist you in moving forward RIGHT NOW? Some clients wish to focus on a specific issue or challenge but do not have a desire to enroll in a program. You may still benefit from our services! Life coaching with your personal strategist: it’s not cheerleading, it’s conditioning for success! If your life is not all that it could be—you’re feeling unfulfilled, frustrated, victimized, unlucky, apathetic, unhappy and without clear direction, there is an alternative. You wouldn’t start a business without a plan, so why not apply the same philosophy to your most precious asset, your life? Sometimes we are our own worst enemy. We are unable to be objective. A strategic life plan provides you with a means of identifying thoughts, behaviors and patterns that distort your vision of potential and limit your personal success. Working together, we will create a customized action plan to bridge the gap between the life that you’re living and the life that you want to create. We give you the focus and the tools that you need to guarantee success in every area of your life. Getting to the root of your desires and a measurement for your success. Even if you do not engage in a long-term program, it is imperative that you have a clear sense of what it is that you are trying to create and a measurable means of evaluating your success. This is a required step prior to enrollment in any customized strategic life planning programs. Any time of year is a good time to make powerful, measurable resolutions for a life that is aligned with what you want. We will divide your life into 10 key areas, solidifying goals and setting an action plan to ensure your success for the next 12 months. . Improve your daily performance with increased clarity, energy and focus in this powerful group conditioning program designed for 6-10 participants per session. Harness the power of the Mastermind in 15-minutes every weekday morning. It's a virtual gym for your mind/spirit! There is no single formula for success. An individual's ability to grow as a leader is reflective of his/her desire to grow as a person. Blended learning programs utilize workshops, one-on-one coaching, online development initiatives and mentors to ensure success by everyone's definition.